Arqiva, the company behind much of the UK's radio and TV infrastructure, has reported growth in revenue helped by strong take up of Freeview and DAB capacity. In a financial update covering the nine months up to 31st March 2017, Arqiva reported an 8% increase in revenue in the area of terrestrial broadcasting and provided a progress report on its DAB transmitter roll-out, which continues to boost digital radio coverage in the UK. The revenue growth was driven by multiple factors, according to Arqiva: recurring revenues from new channels on Arqiva's Freeview multiplexes; additional new video streams on the main multiplexes, radio contracts resulting from the Digital Audio Broadcasting (DAB) roll-out, the continuing clearance of the 700 MHz spectrum, and inflationary linked increases on broadcast contracts. As at 31 March 2017 Arqiva’s two main DVB-T Freeview multiplexes had 31 videostreams, all of which were utilised. In February, the company provided the capacity for new channel Quest Red to launch on Freeview. 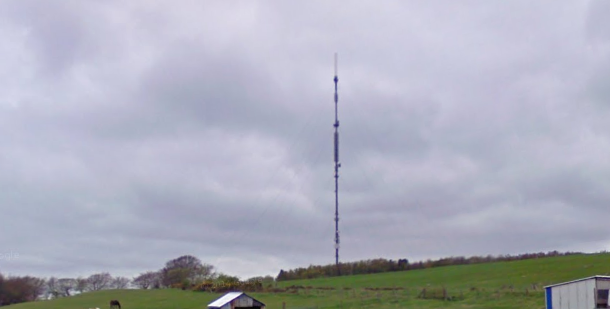 Regarding digital radio roll-out, Arqiva had by the end of March built 161 new transmitters for the BBC as part of the corporation's "Phase 4" plan to boost BBC National DAB network coverage to more than 97% of the population. The final 2 sites of the 163 required to deliver the current phase of the programme are expected to be complete by June 2017. Meanwhile, the company says it is also progressing with the delivery of commercial local DAB. The programme is part of an initiative to meet the local DAB coverage threshold of 90% set by the UK Government and achieved in September 2016 with the completion of 185 new sites. Arqiva is delivering new transmitters or upgrades at 221 sites and by 31 March 2017 had completed 208 sites. The final sites for this phase will be completed during summer 2017 taking local DAB coverage to over 91%. Arqiva has reported strong demand for capacity on its DAB multiplexes with new stations continuing to join the terrestrial digital radio platform. In addition to providing the infrastructure behind the UK's terrestrial radio and TV networks, Arqiva also provides the communications infrastructure used by mobile telecoms network operators and satellite TV broadcasters. The company also has a role in the deployment of machine-to-machine connectivity devices, such as smart meters for energy and water. It is a 5G pioneer and is operating the first European fixed wireless access (FWA) trial in London this summer in partnership with Samsung.